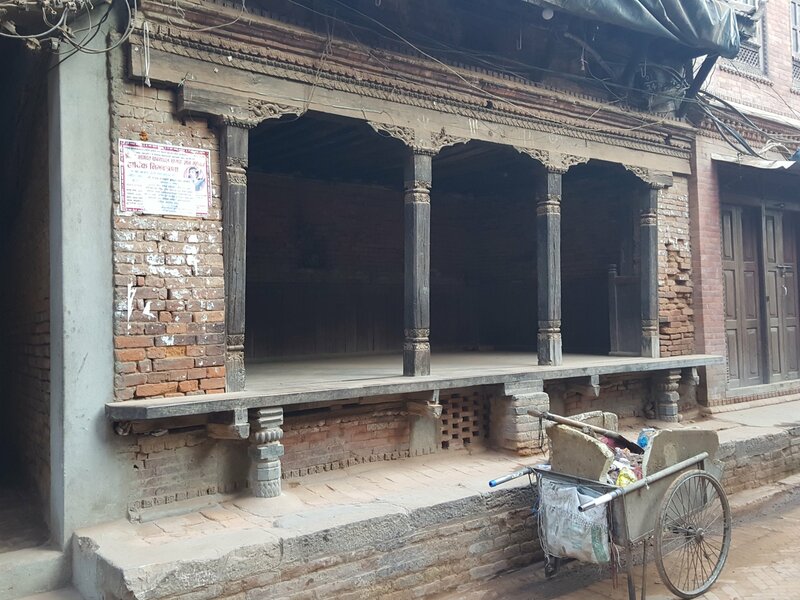 One of the things I noticed immediately when I walked the streets of old Kathmandu were these resting places. 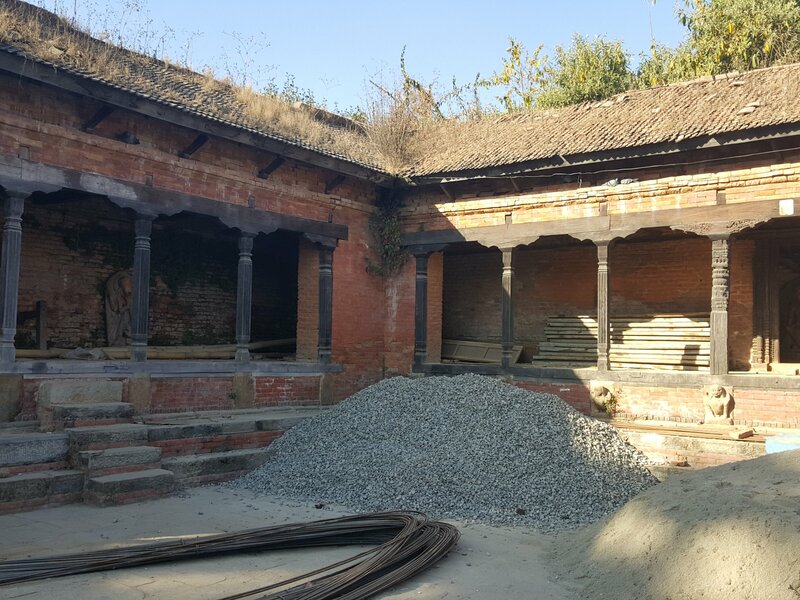 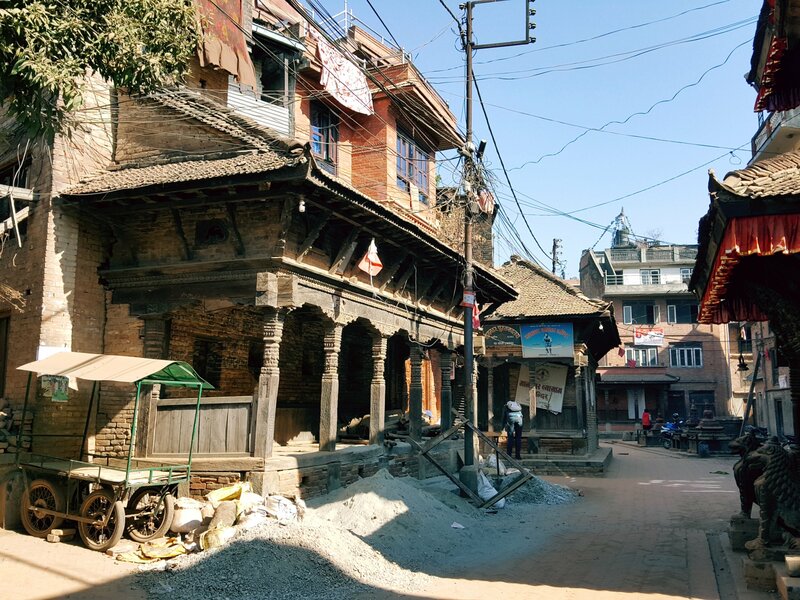 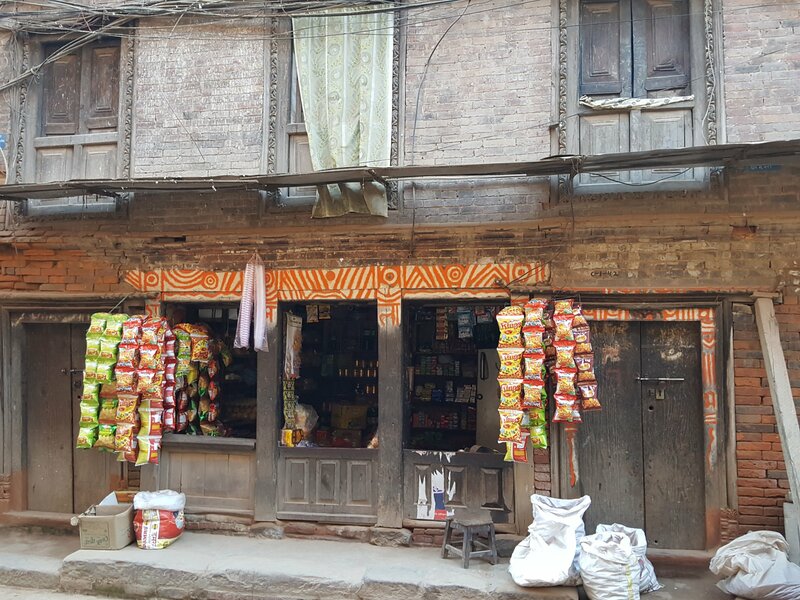 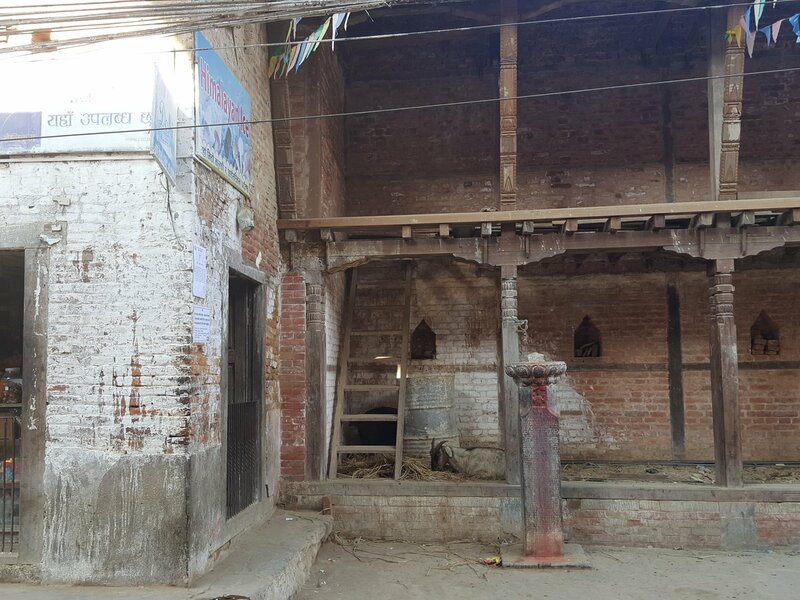 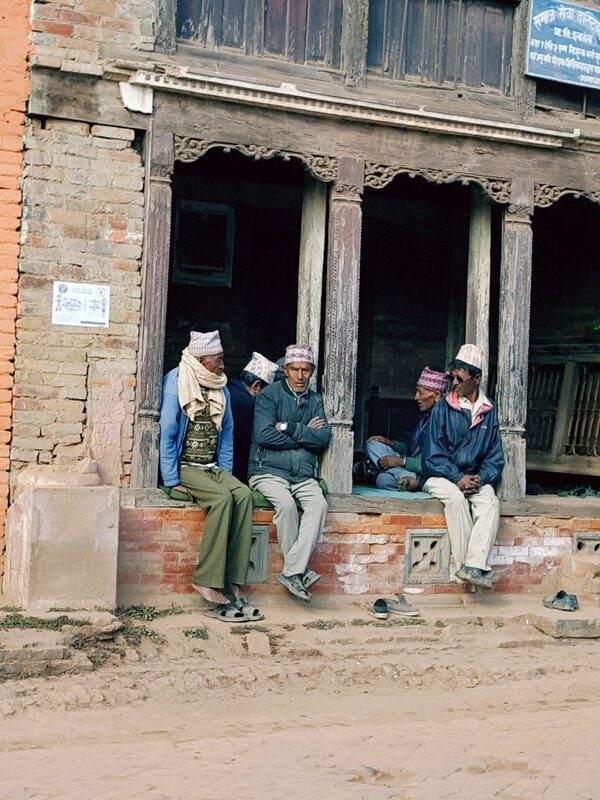 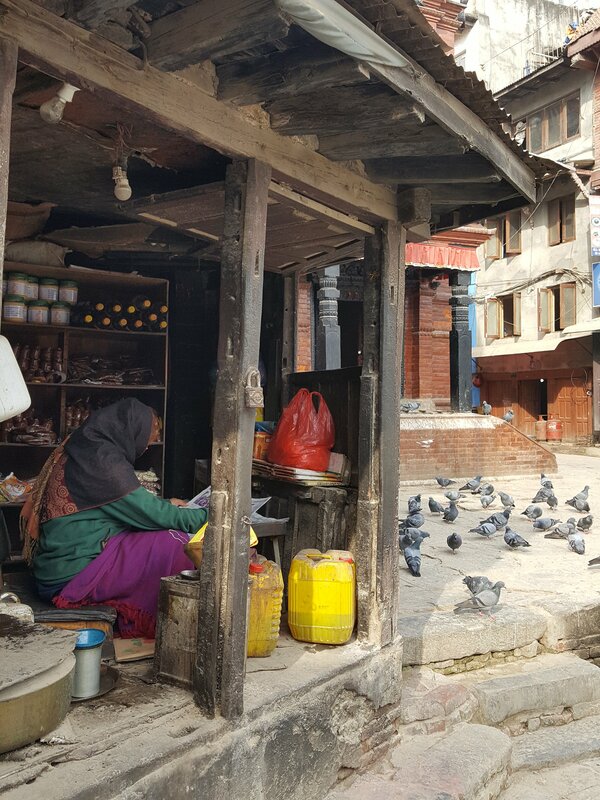 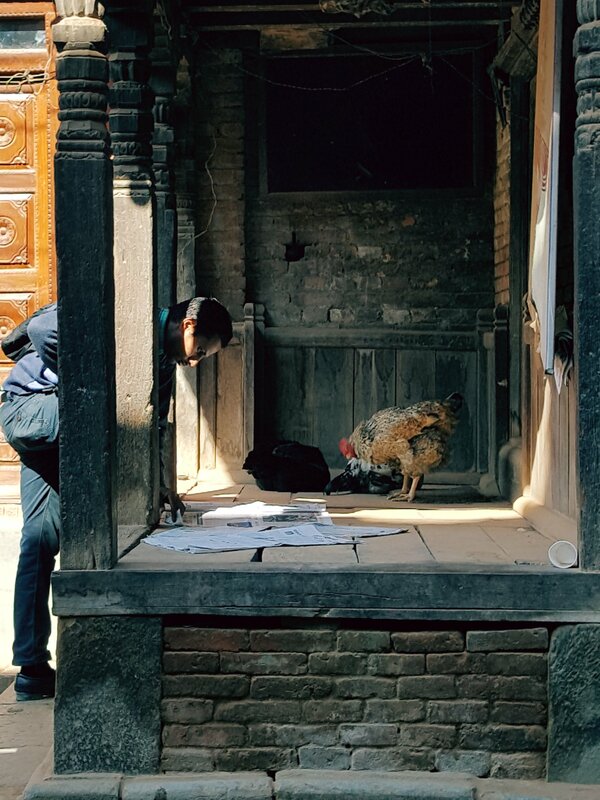 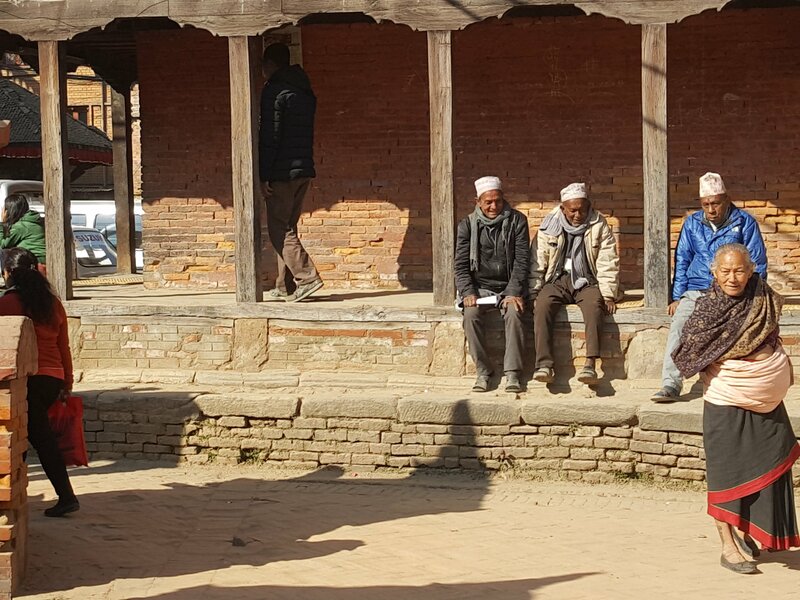 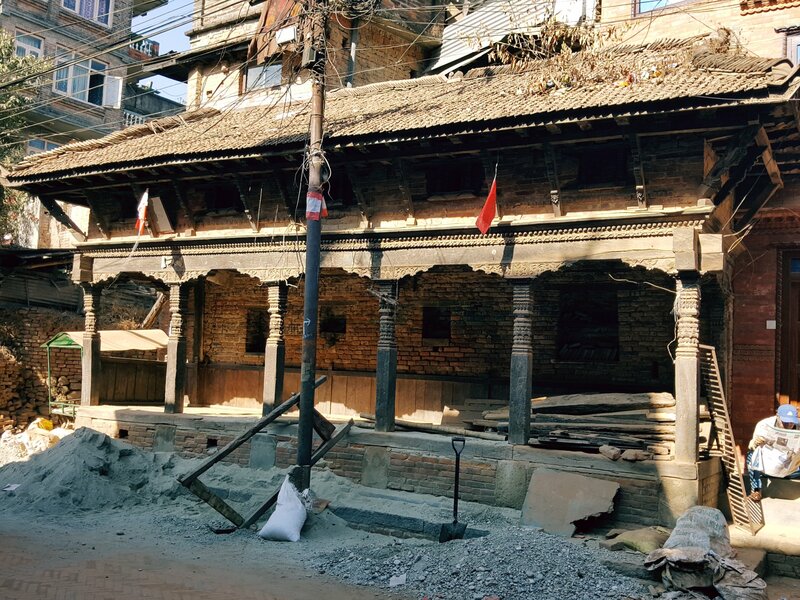 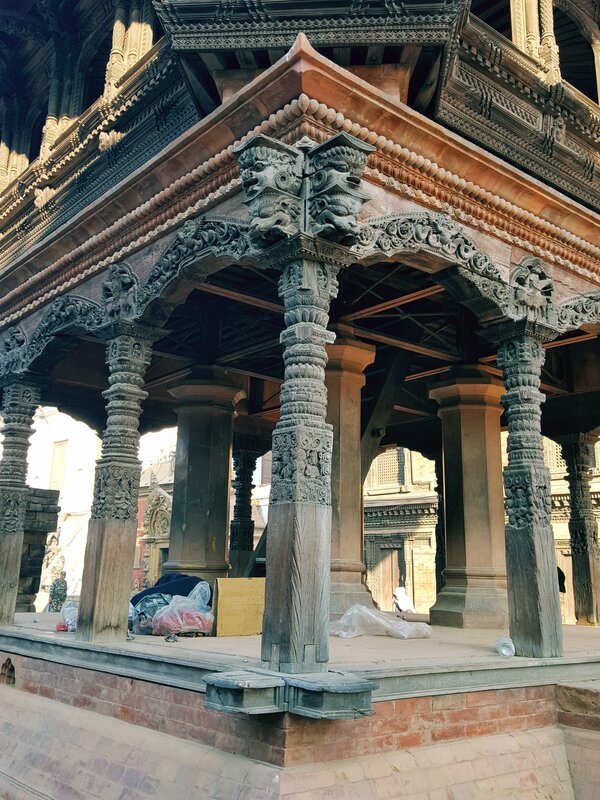 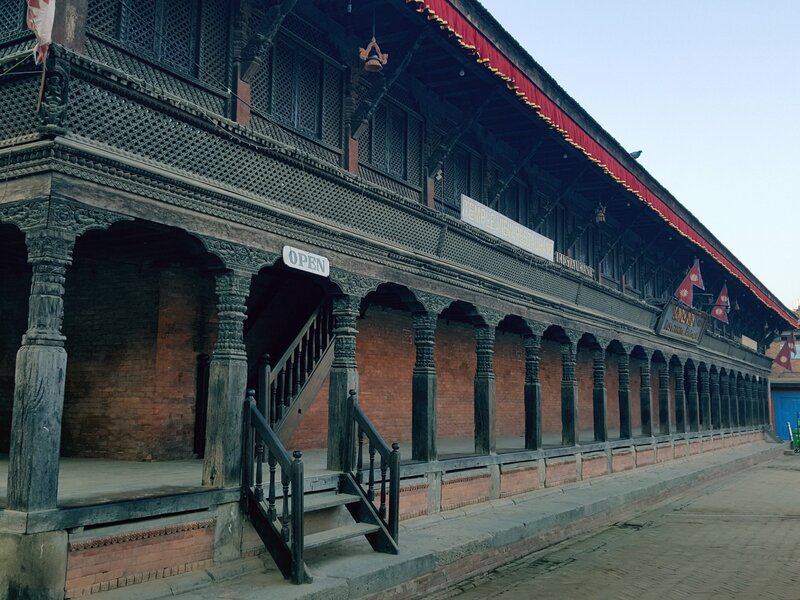 Subsequent walks in Bungmati, Khokana, Changu, and Bhaktapur likewise revealed the prevalance of these structures. 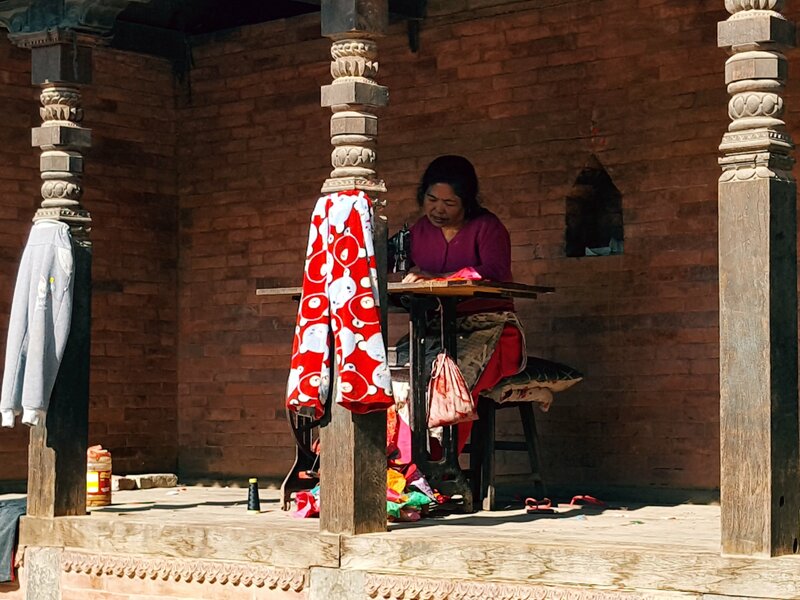 Did a little research and discovered they’re called phalcha and have always been part of Nepali culture. 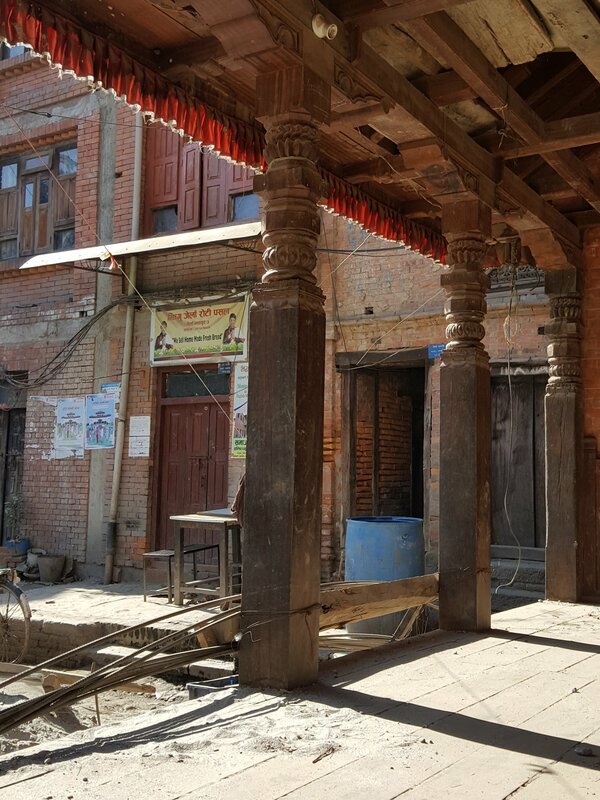 These resting places with their wooden floors and carved posts look very inviting. 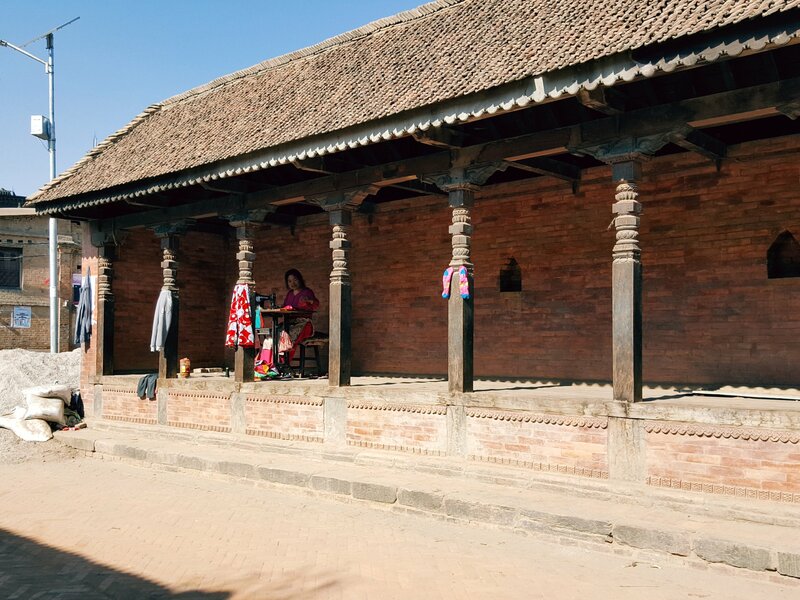 Some phalcha serve as stalls. 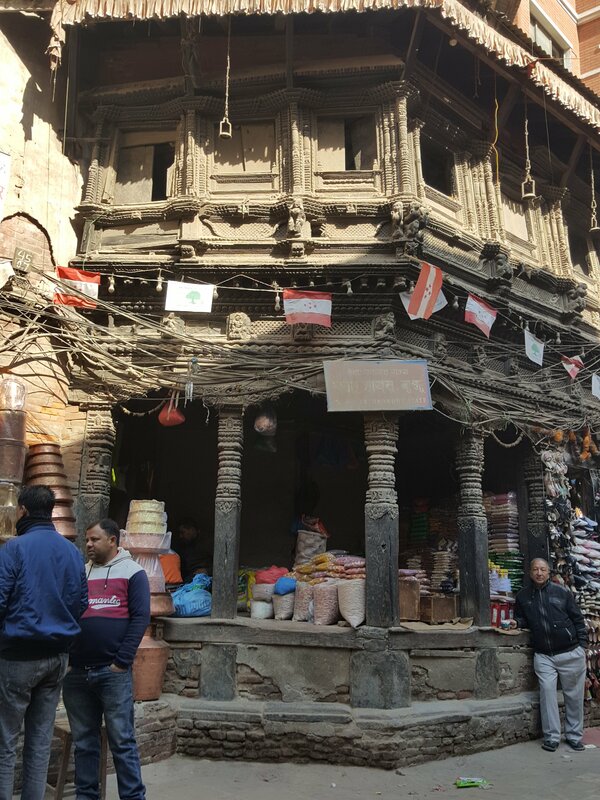 Phalcha may be attached to buildings or under houses and temples. 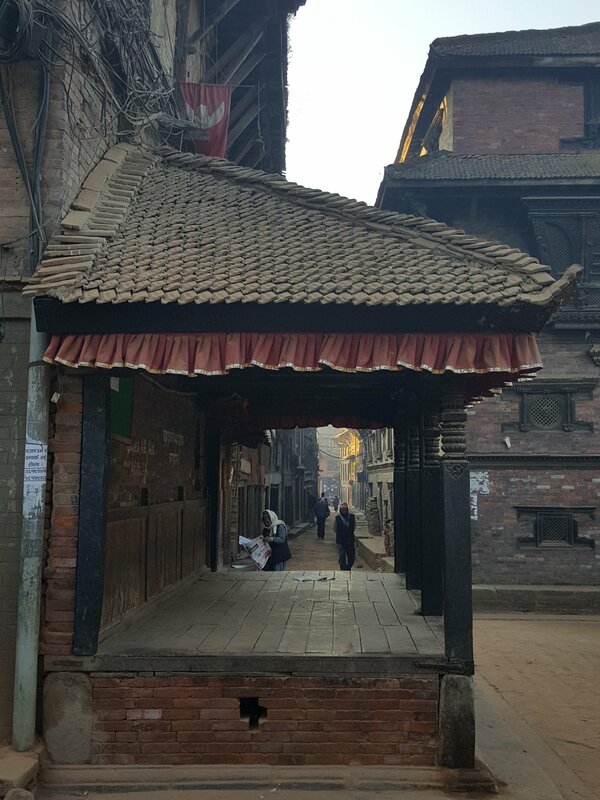 It could also be free standing as in under a tree. 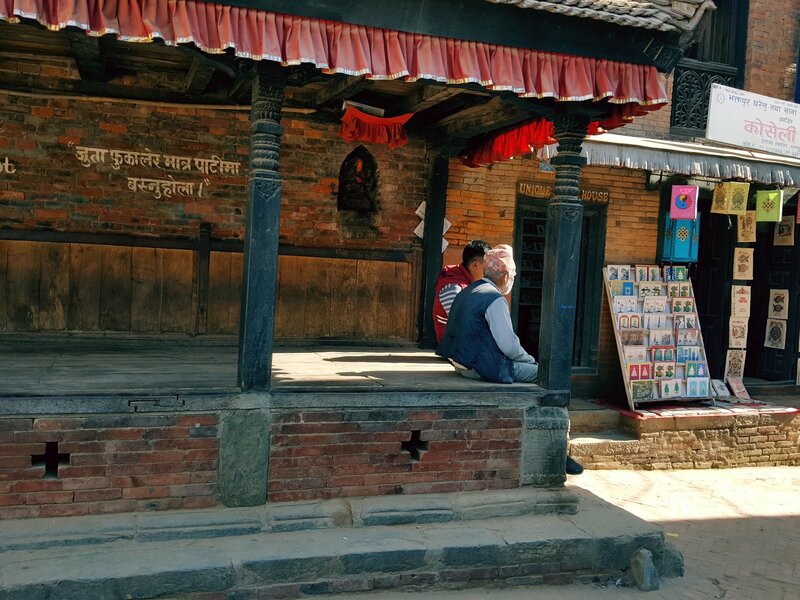 I like the idea that there are places out there in the streets where you can just stop, rest, and perhaps have a little me time. 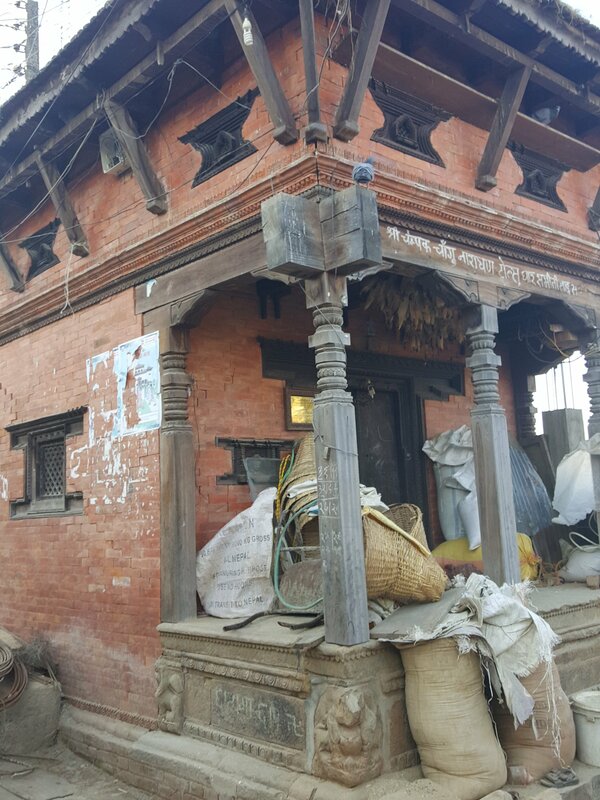 The phalcha is an example of how architectural spaces is part of the ebb and flow of life in the village.